The above info came from R.G., and was edited by yours truly (contact me). The image came from Anime Haven Gallery. Meet Seiji Sawamura. As far as most people are concerned, he's one of the toughest, roughest delinquents around, feared for his infamous punch, the "Devil's Right Hand". However, all Seiji wants is a girlfriend to love, which is easier said than done, since to date, 20 girls have dumped him. He fears that his only companion will be his right hand. Enter Midori Kasugano. This girl from a wealthy family has had a crush on Seiji for some time now, but has never been able to tell him so. One day, Seiji wakes to find that his right hand has been turned into a girl, and that girl is none other than Midori. Needless to say, Seiji is shocked and Midori is giddy. Seiji Sawamura is a high-school kid who has a very well-known reputation. You see, he's known to be the best fighter in town! His weapon of choice is his right hand. People at his school call it "the Devil's Right Hand." Seiji wants a girlfriend, which is tough when everybody is afraid of him. But, from afar, a shy Midori Kasugano admires him. She thinks that she could never be his, because he's so tough and cool. 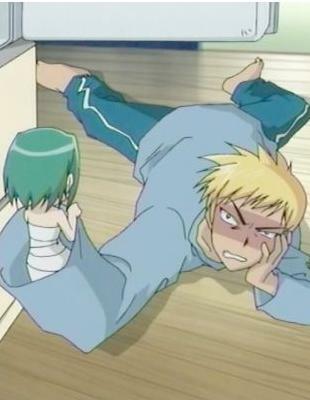 But then one day something weird happens... Seiji wakes up to see that Midori is his evil, well known right hand! Is this destiny for the both of them, or is it bad news? The above description came from Wolf's Rain Fanatic, and was edited by yours truly (contact me). High school delinquent Seiji Sawamura wants to have a girlfriend, but every one is afraid of him because he gets in fights with gangs and other delinquents. Seiji is failing in asking out girls on dates, and he wonders if he going to have a lonely life forever. Then one day when he wakes up and discovers that something is wrong with his right hand. 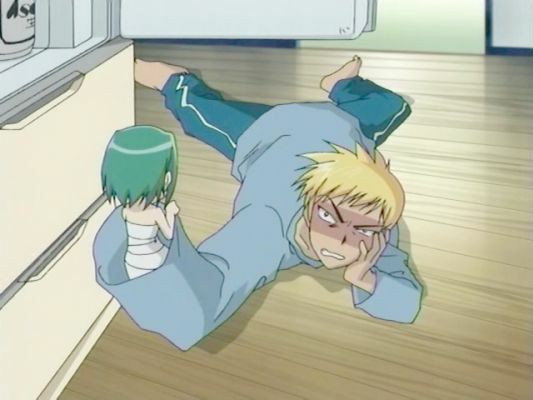 His right hand became a girl named Midori Kasugano, who shyly confesses that she has had a crush on him for a long time. Seiji now has to keep this secret about his right hand from others while he attempts to get his right hand back to normal. While Midori is enjoying being with Seiji, she tries to get Seiji to love her back. The above description came from Rasseru Strawser, and was edited by yours truly (contact me).